Move over, Maverick! The phrase “Ford Lincoln Mercury” did not accurately represent the pecking order of affordability. If it did, it would have read “Ford Mercury Lincoln” on the dealer signage. 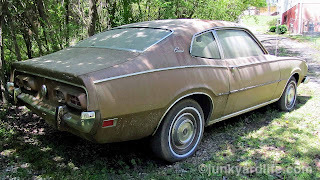 The Ford Maverick, introduced in 1971, was developed as a replacement for the Ford Falcon that traditionally offered the frugal motoring alternative to a used car. Maverick was an affordable means of transportation and served many families. Mercury offered a slightly nicer platform of what Ford had going on across the hall. 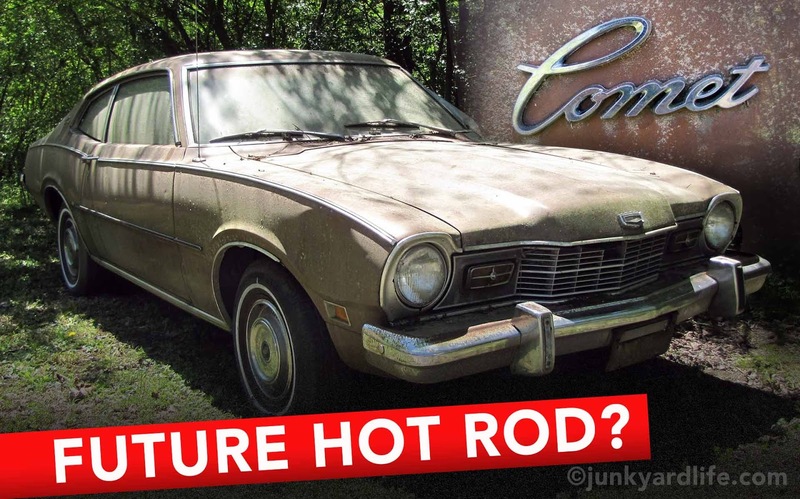 Built on the same platform, the Comet was Mercury’s version of the Ford Maverick. 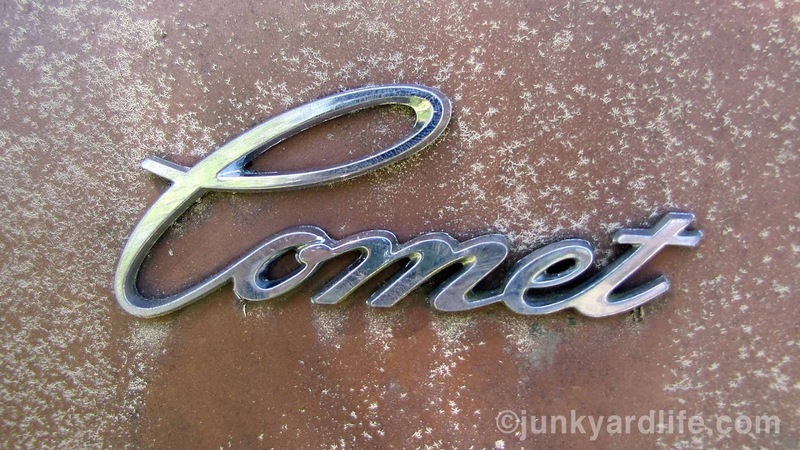 Although the Mercury Comet nomenclature was nothing new, this body style was a compact car, no longer the mid-sized Comet of the 1966-1969 generation. Cloth bench seat is in great condition on this 1973 Mercury Comet. Watch your head, gravity is pulling hard on the headliner. This 1973 Mercury Comet was a great example. Example of what? It was essentially a Maverick with a few nicer features for your money. Check out what you would get. Simple, yet a tad nicer. This one was optioned with cloth seats and air conditioning. It also had a 302-V8 with a C-4 automatic transmission and a moderately geared 3.0:1 ratio non-locking rear end. The color is awesome in the seldom seen code 5H Ginger. 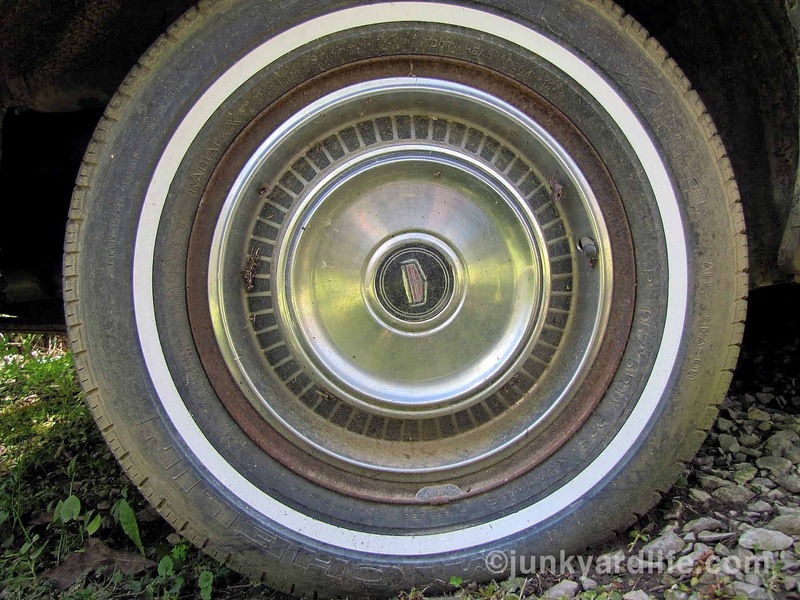 Rolling stock — predictable hub caps and 14-inch white walls. Close your eyes and imagine a 1973 muscle car. Now open them and check out the Comet. Nice, right? Just wait, these may be the hot rods of the future. Why is this a find? Well, it is if you are a Mercury enthusiast. Even if you are not you still have to appreciate the fact that this overlooked car is here at all. A lot can happen between 1973 and now. 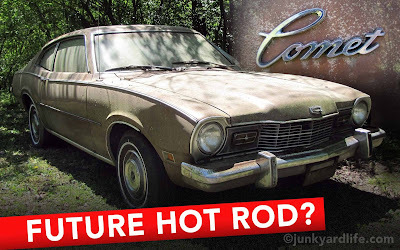 Consider this: For every three Mavericks built and sold in 1973, there was only one Comet sold. Also, how many times along the way has someone needed an unabused 302? Somehow this one was hidden from the engine hoist of potential swappers. Blue air cleaner lid denotes the 302-2 barrel carb on the 1973 Mercury Comet. Our feature car was sold new in Tennessee. It was purchased by an older lady and was driven sparingly. (Editor’s note: Lets’ all watch and see how long Ron can keep this going without using the age old cliché “only driven to church and the grocery store.” We know he wants to.) Obviously, not a world traveler or a commuter, she managed to keep the miles low and stayed on top of all preventive maintenance. 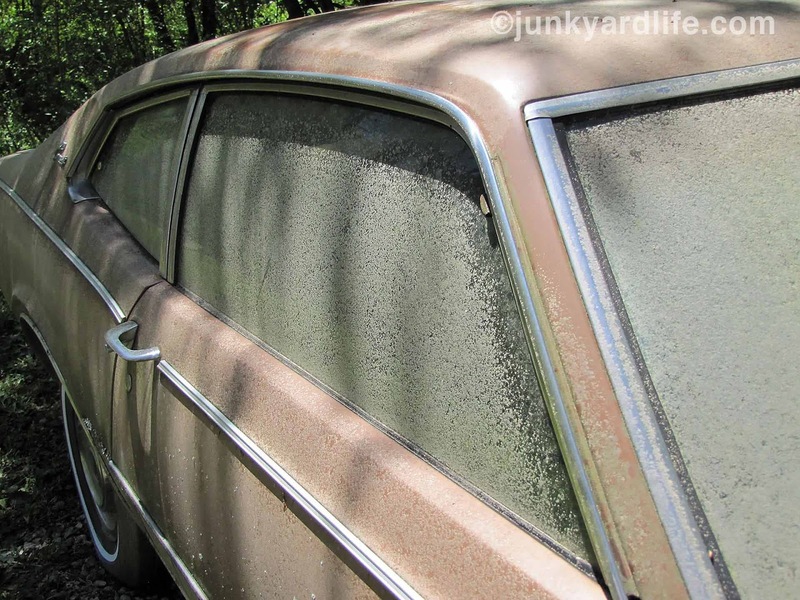 The car stayed with her until the late 1980’s when it was purchased by a gentleman in North Alabama. The current owner took possession of the Ginger brown Comet in the early 2000’s. He is only the third owner of this rare Mercury. Aluminum trim is hung all over the Comet. Bling! Economy compact car with class. 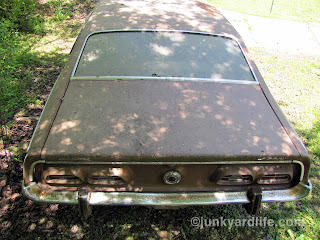 Maverick/Comet owners we salute you and hope you continue to save and restore these cars. Many may not understand you or appreciate you, but we do! This generation of Comets and Mavericks are an affordable option to those who want a vintage American classic on the cheap. Rear wheel drive, V8 engine, easy to maintain, has chrome bumpers, 2-door. Check yes on all that! Undoubtedly these are a sure bet to increase in value as the bellybutton (everybody has one) Mustangs, Camaros, Tri-Fives become too costly to buy and too valuable to daily drive. 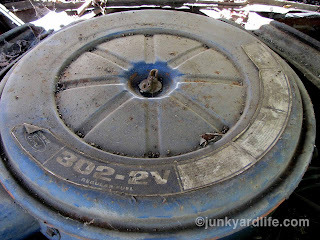 You can count on Junkyard Life to stop and take pictures when we see one on the street or in a yard. The fate of our feature car? To be brought back to life soon. The gentleman who owns this appreciates it and refuses to let it be a parts car. It is indeed in good hands. 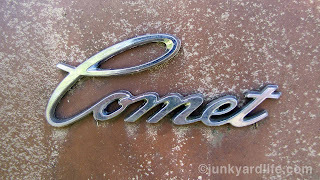 1973 Mercury Comet script sail panel emblem. Hot Wheels gave Maverick fans a treat in the early 1970’s with a few variations of a Maverick with some custom touches such as hide-away headlights. It was called The Mighty Maverick and later The Street Snorter. Then in 2012 Hot Wheels offered fans a Super Treasure Hunt 1971 Grabber and another custom Maverick in 2018. Represented! Due to their light weight, low cost and the chassis ability to sustain a V8, many Mavericks and Comets ended up on the drag strip. 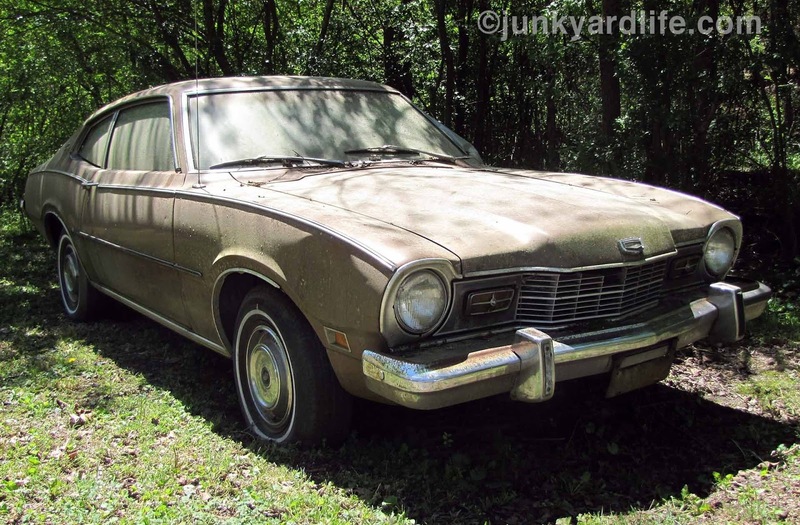 To level the playing field for the Pony car wars (then on the decline) Ford offered a performance oriented Grabber package on the Maverick and Mercury offered up the GT package on the Comet. The alternative Mustang? 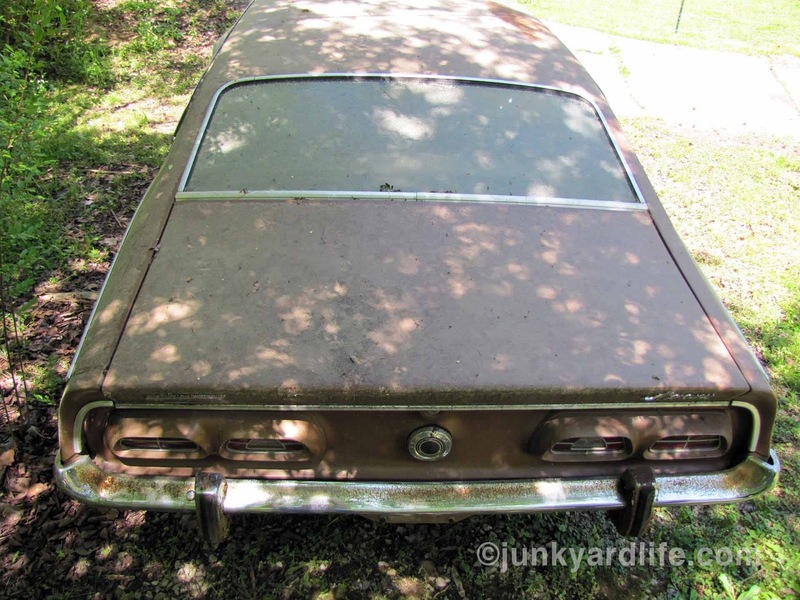 The Mercury Comet buyer was a rare demographic. If essentially the same car was offered in the Maverick, how many buyers with a little more budget would have opted for another car? No 1970 Comet offered on any chassis in 1970 but the 1971 models started production in April of 1970. 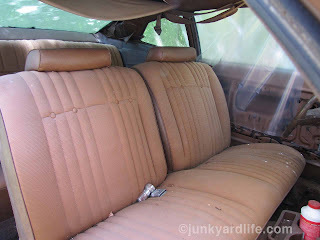 The Falcon line, which was replaced by the Maverick/Comet line, was offered in several body styles including a station wagon. Maverick/Comet was not offered in a wagon. A four door sedan was as close as you could come. Why so few Mercury Comets? Do the math ….according to forums they made 282,218 Mavericks in 1973, but only 82,716 Comets. They were not here to begin with! Our feature car was purchased to be a parts car for a Maverick project the owner has going on. He got it home and deemed it too nice to be a parts car. Whew! The giant bumper, push guards do detract from the overall clean lines of the Comet, but what is your safety worth to you? Sleeper 1973 Comet with 14-inch wheels and a V8. These cars have been frowned upon and ridiculed for many years but we believe the “little old lady” cars will make a strong investment. Really. 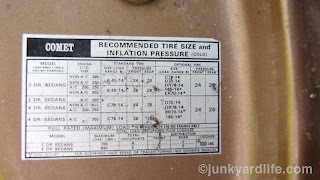 Original Comet decal for tires/air pressure in mint condition on the original paint. You can still find an original 302-V8/210hp Mercury Comet in driver condition for a fraction of what 1964-1970 muscle car projects are commanding. Those projects need a full rebuild. You can grab a Comet and take off!